Canon has announced it is to buy Toshiba 's stake in SED Ltd - the two companies' joint venture to produce cutting-edge flat-panel displays. SED (Surface-conduction Electron-emitter Display) uses a combination of cathode ray tube and LCD technologies to produce outstanding motion picture reproduction. Canon's move has come after legal disputes from US-based Nano-Proprietary , which holds the patents to technologies used in SED's production. An agreement with Canon allows the company to use Nano-Proprietary's patents - but the deal was not meant to be extended to Toshiba. Nano-Proprietary made its concerns over the deal breach known late last year. Canon's buyout raises questions over the future of SED development, which was due to go into mass production this year. 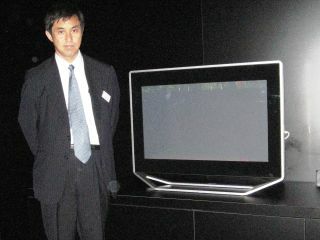 The technology is seen by many as being the natural successor to LCD and plasma. SED was last on display at the IFA electronics show in Berlin, last year, where Tech.co.uk saw a demonstration. It was not at this year's CES .